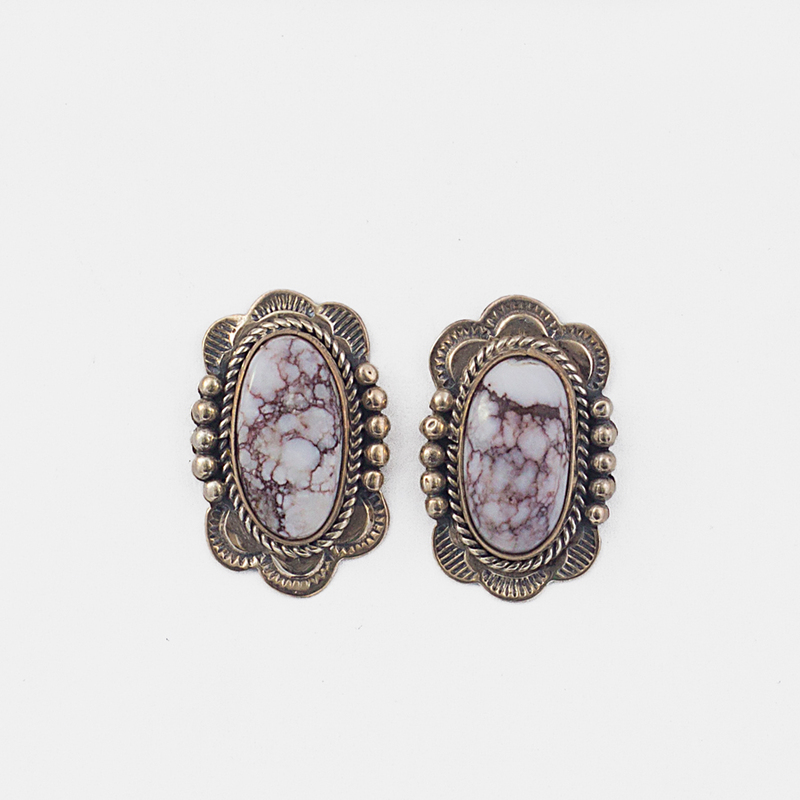 Exquisite traditional silver work frames brown and white magnesite stones in these sterling earrings by Navajo artist Melvin Francis. Melvin works near the Navajo reservation and has been silversmithing since about 2003. Hallmarked “FRANCIS” and sterling. 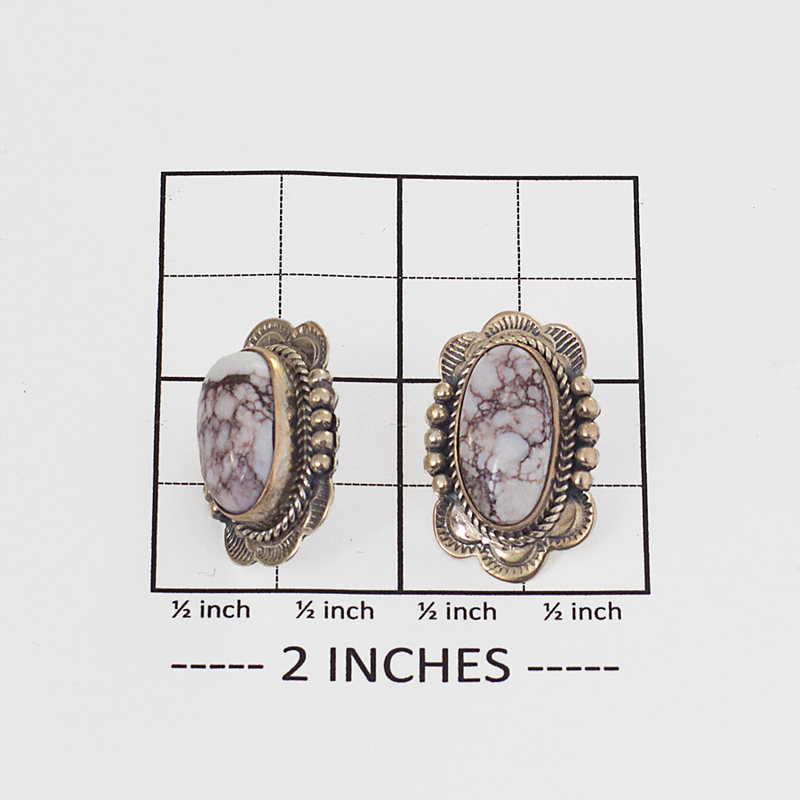 The pair with backs weigh 12.7 grams. Melvin Francis Magnesite Earrings display the shine of Magnesite and Silver. Handmade by skilled Native American silversmith of the Navajo tribe.